Cabrillo Light House Keeper, originally uploaded by The Bacher Family. I visited San Diego in February for a conference, and got to visit Cabrillo National Monument on an evening field trip. 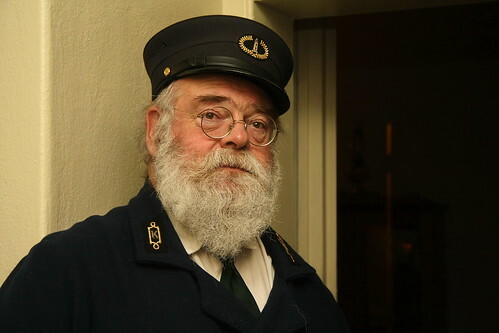 I snapped this photo of the "light house keeper," an employee on duty in historical costume. I used diffused flash reflected from the ceiling to prevent harsh shadows.